From the time two lovebirds agree on exchanging their wedding vows, there is a lot that comes to mind. Besides making plans about the future, their immediate concern is to plan for their dream wedding. When making plans for a wedding, it is imperative to get things right at this early stage. When it comes to planning for a wedding, nothing beats personal recommendations and tips from someone who has already been in the same position before. Here are some words of wisdom or tips for brides-to-be. Most brides suggest that the secret to having a decent wedding lies in the organisation. Doing some due diligence on your part is imperative. When you start making plans, make sure that things such as contract quotes and receipts for payments are documented. Another aspect which touches on the organisation is the budget. However spectacular you would want your wedding to be, have a budget, and stick to it. With your budget estimates, ensure you are clear with how much each part of your wedding will cost. 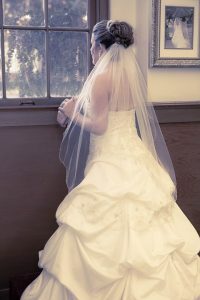 Most brides advise others to plan their wedding as they want, rather than giving in to the ideas or desires of their parents or close friends. As much as they might be hosting or making some contributions towards the same, stand your ground and explain to them what you want and why. Ultimately, see to it that you have the celebration you wish to; after all, it is your wedding. As the day of the wedding approaches, most brides-to-be get overly anxious. As much as possible, you should strive to stay calm and avoid letting your inner ‘bridezilla’ tendencies take over. Some brides suggest taking up some yoga classes or booking a spa day during your hen night to help calm those pre-wedding nerves.